How have you all been? 🙂 Hope you’re all well! I’m back from NYC and wow, it’s been an amazing, hectic, wonderful, crazy weekend! For those of you who are new, I was visiting my best friend in Manhattan over the long weekend and just got back last night. I know it’s been awhile and I have a lot to catch up on, but I thought a photo recap was in order! I LOVE taking pictures, and my brother and friend will attest to the fact that my phone and camera were never out of my hand for long! So we arrived at my friend’s house Friday night, after a super hectic drive into the city. Funnily enough, we drove through Times Square without even realising it was Times Square! We just thought it was also another part of town that was super flashy lol. We arrived there pretty late, and my friend had cooked a delightful dinner for us, which we pretty much inhaled. 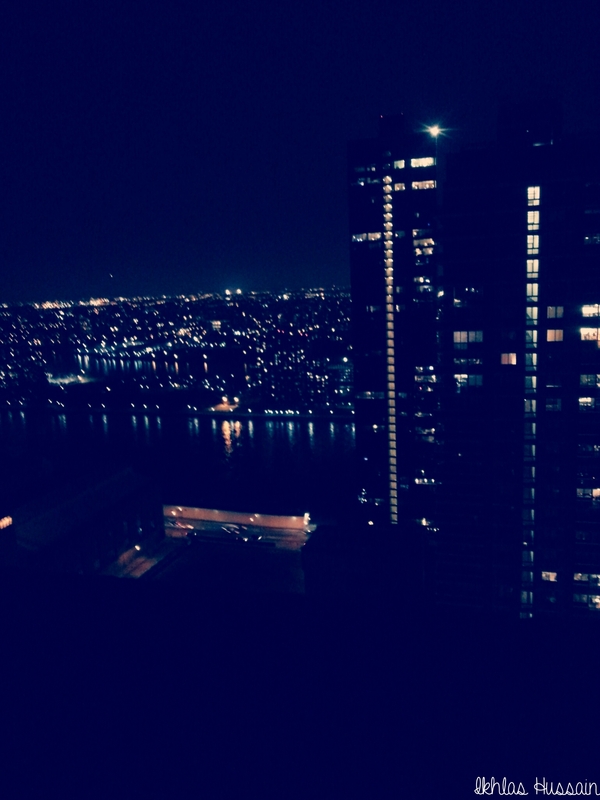 After a quick trip to her rooftop to look at this view, we headed to bed after a very long day of driving. The next day we headed out in the morning for a trip to Times Square. This is when we discovered that where we had driven through last night was the busy, tourist area. It was crazy busy, as there were so many tourists like ourselves snapping pictures and posing with random characters. We saw Elmo, Minnie and Mickey, Hello Kitty, and the Statue of Liberty. It was funny because we were taking our own pictures, and Elmo and Minnie just randomly joined our picture. After Times Square, we wandered around a bit. We went to Central Park for a bit, and then we went to the New York Public Library, which I had heard so much about! The outside was so beautiful, that I couldn’t wait to get inside! What I loved was that people were just hanging out outside. Inside, there were many stunning staircases, intricate relief work on the walls and ceilings, and massive, beautiful paintings on the walls and ceilings. It didn’t feel like a library as much as it did a cathedral! I can’t imagine studying or working there…I would just be in awe of the beauty all the time! The next day we went back to Central Park to explore it again. We had originally wanted to go on a carriage ride around the park since it seemed so cute, but the carriage rides were ridiculously over priced and so we returned the next day in hopes of exploring the park some more. My bff’s husband knew the park well and he gave us an amazing tour! When we first visited the park the first day, we didn’t think that there was anything to see or do there, but boy we were wrong! When we returned, we discovered that there were many lovely bridges, fountains, archways, staircases, and artwork throughout the park. There’s also a few lakes, and we decided to go boating in one of them! While my mom watched us from my afar, me, my brother, my best friend, and her husband all piled into the boat and set sail around the lake. At first, it didn’t seem like there was much to see, but as we rowed our way over the lake, we discovered many pretty sights, especially a beautiful view of the city. After Central Park, we headed over to the Metropolitan Museum of Art. 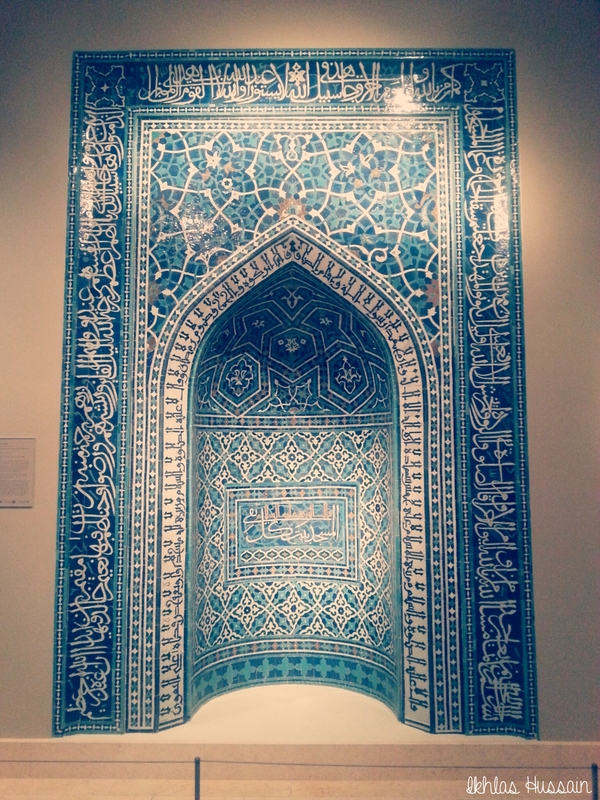 They have an exhibition on Islamic Art that my family and I were dying to see, and it was absolutely breathtaking. There were so many different pieces of art work on display from around the Muslim world, it really made me really proud of the achievements of Muslims worldwide. After the museum and a little break, we headed out again to visit The Strand bookstore. As a bookworm, I was so excited to visit this iconic bookstore! When I got there, I couldn’t stand still…I wanted to explore it all! But since we were running short on time, I grabbed an old copy of an Austen and ran for my life! 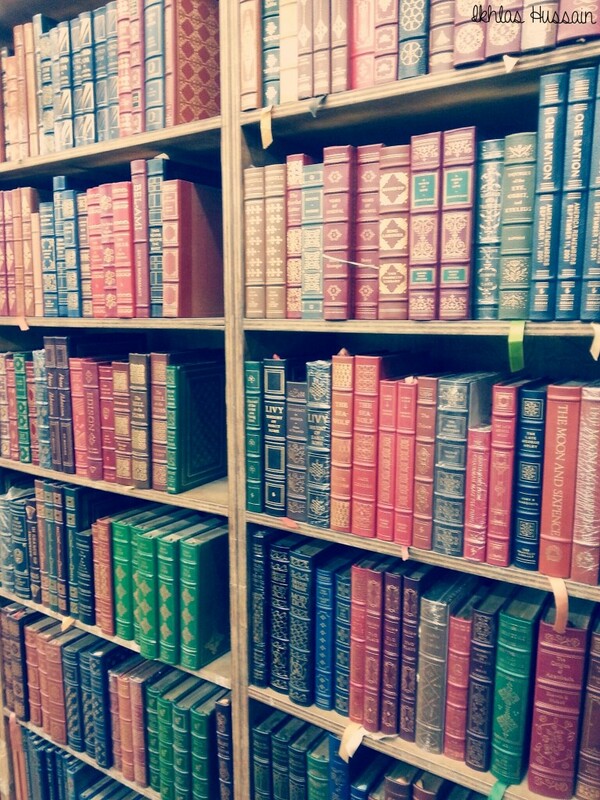 I knew that if I stayed any longer, I would build myself a home in the shelves and refuse to leave. After The Strand, we headed to a famous dessert place called Max Brenner. The wait was over 2 hours long and so we grabbed some drinks to go and headed back out. We went to the iconic Empire State Building next, which was a lot of fun! My ears popped like crazy as we shot up to the 80th floor in a matter of minutes, and then we had to get out and walk the next 6 floor. 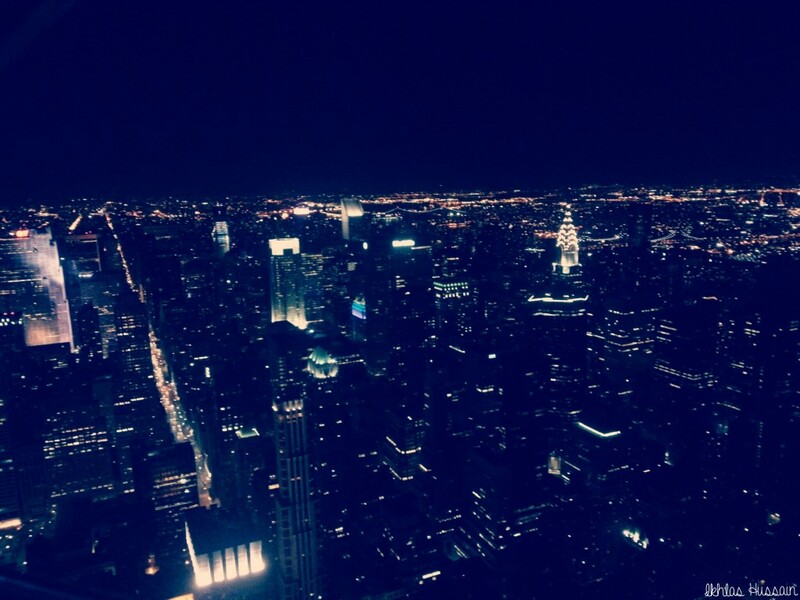 Up on the 86th floor, the view was spectacular! It was super busy, since it was the long weekend, and my hands shook as I tried to take pictures through the safety grates without dropping my phone! It was wonderful to see the city spread out in front of us, and kind of awe-inspiring too. 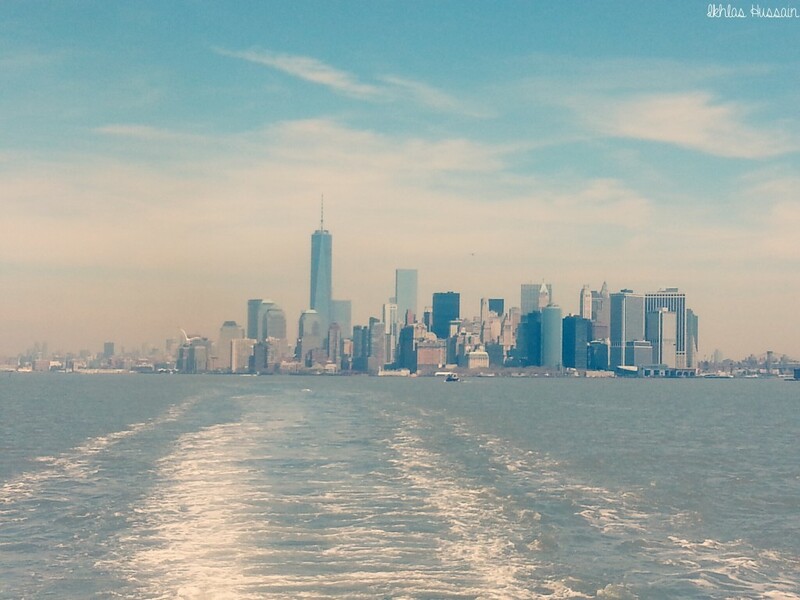 The next day was our last full day in New York City, and so we began it by heading out to the Staten Island Ferry. It’s a 25 minute ride to nearby Staten Island, and boasts of a beautiful view of the Manhattan skyline. As the ferry zoomed off towards Staten Island, I got jostled trying to squeeze through a horde of other tourists trying to take pictures, but I managed to get a few nice ones! After the ferry, we headed to Brooklyn Bridge. As we walked through the plank walkway, I realised my choice of kitten heels probably wasn’t the wisest, since the tiny (but very comfortable) heel kept getting stuck in between the planks! We only ended up walking partway, since we were all tired, but it was a beautiful view. There were vendors selling New York souvenirs and trinkets along the bridge, and it was nice to pause and look at the view from the bridge. The bridge for cars was below, and so we were basically walking above the cars. Yesterday morning we headed out at around 10, but then spent about an hour getting lost in the city, since our GPS couldn’t seem to acquire a signal in the city! Once we got out of the city, it was smooth sailing from there, alhamdulilah! We got home around 7:30 and all passed out at around 9:00! So that’s my trip in a few words and a lot of pictures! 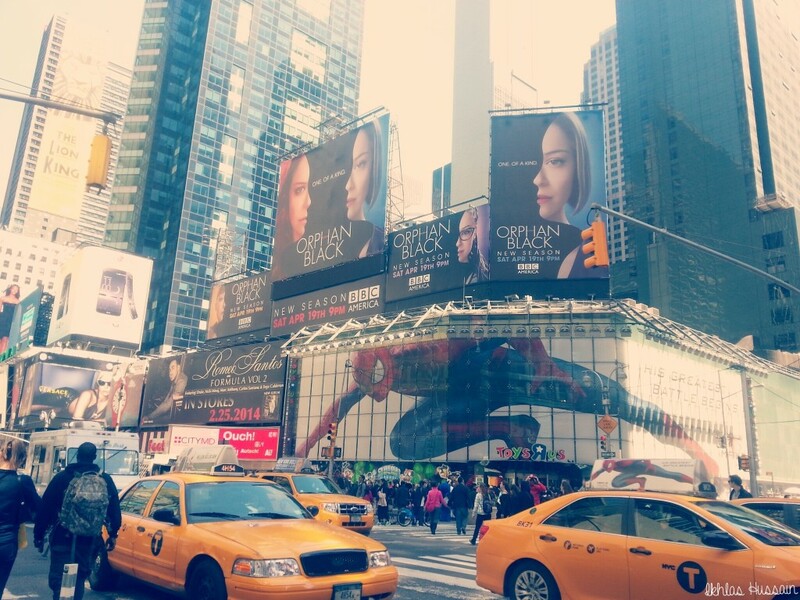 It was my first time to the Big Apple, and I had been looking forward to this trip for SO long. 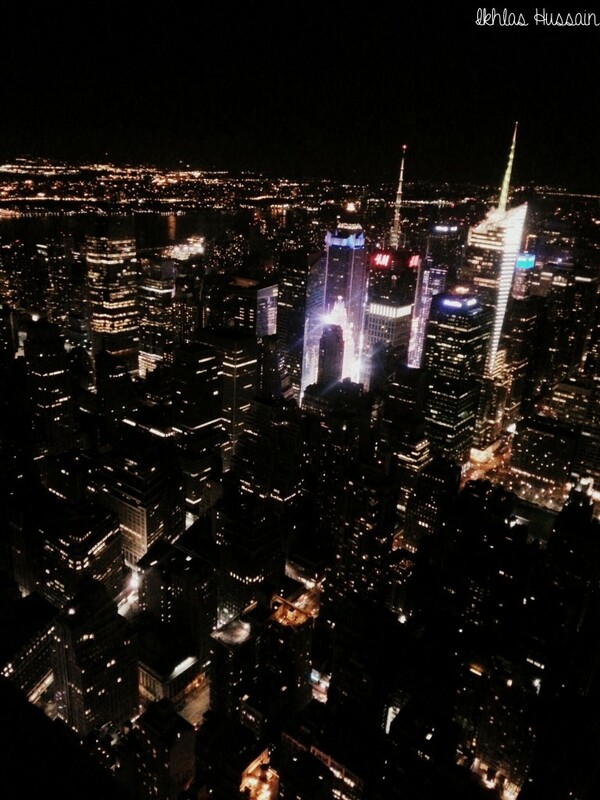 This entry was posted in General News and tagged me, new york city, travel. Those pictures turned out gorgeous! I never knew New York could be so much fun until you came to visit! Ahhh! It looks like you had so much fun! 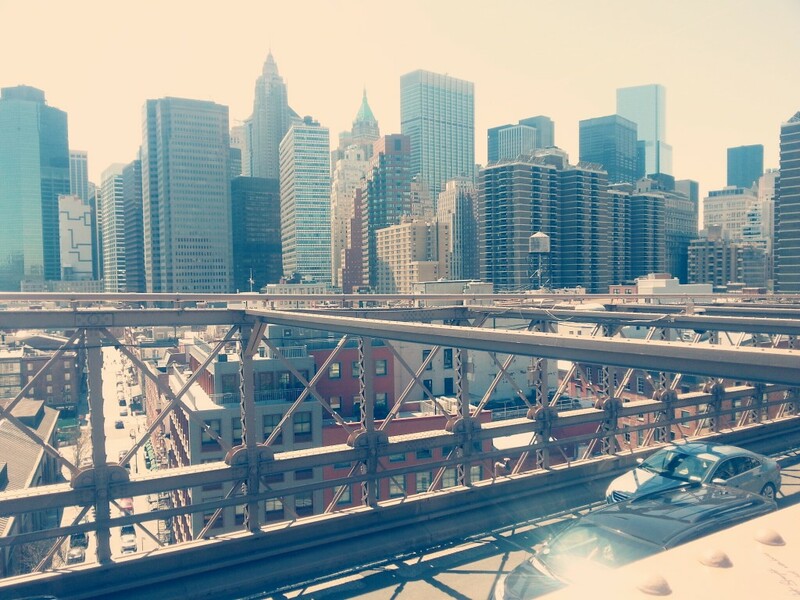 It was this time last year that I was in New York myself! 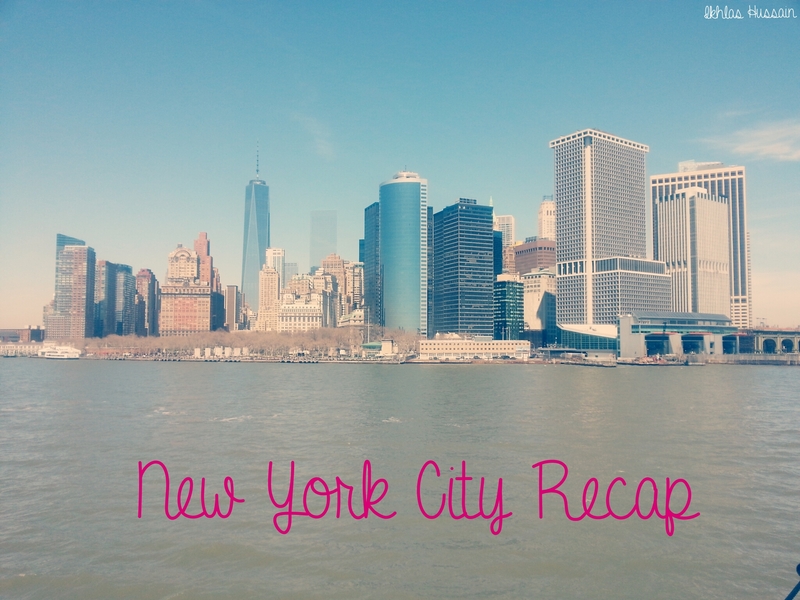 It seems like you managed to cram in a lot more sightseeing over the weekend than I did! 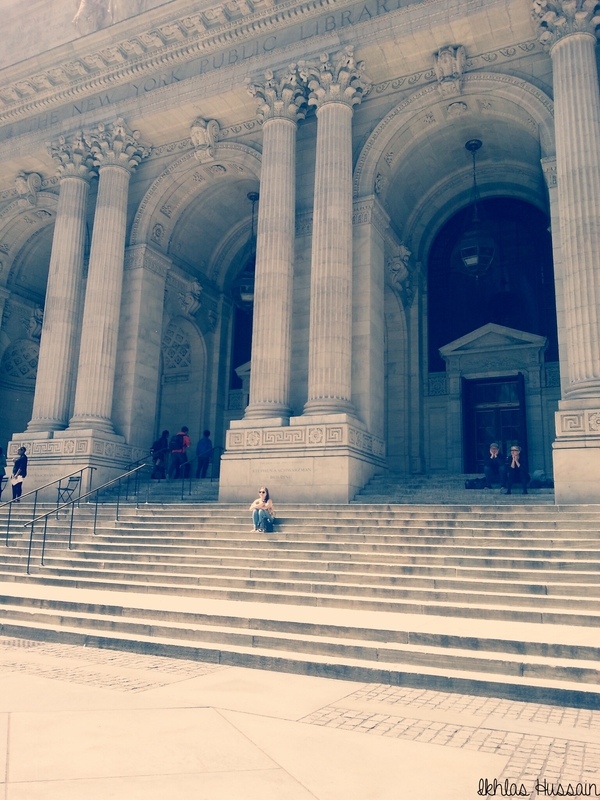 I’m sooo jealous you got to go to the NYPL and the Met! I missed both of those 🙁 Central Park and The Strand were by far my favourite things that I did manage to see though! 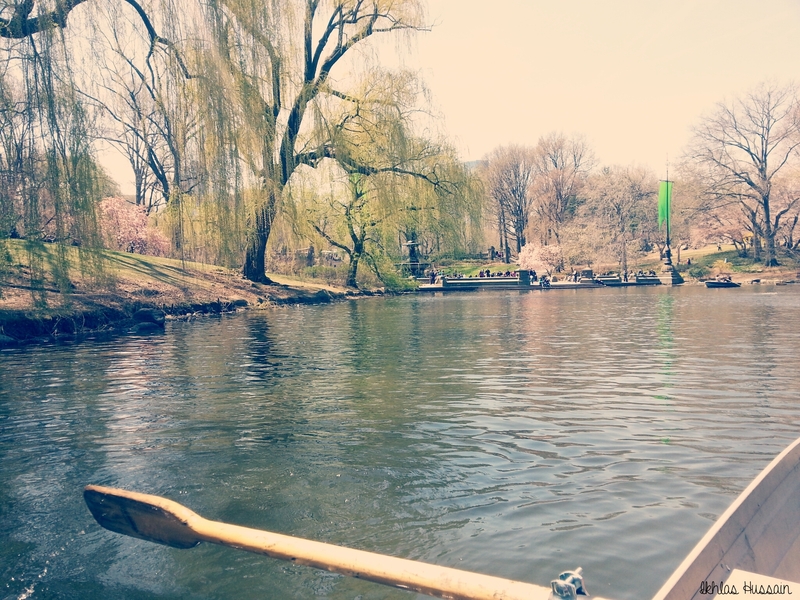 I could have spent the entire weekend in Central Park! It was so gorgeous! 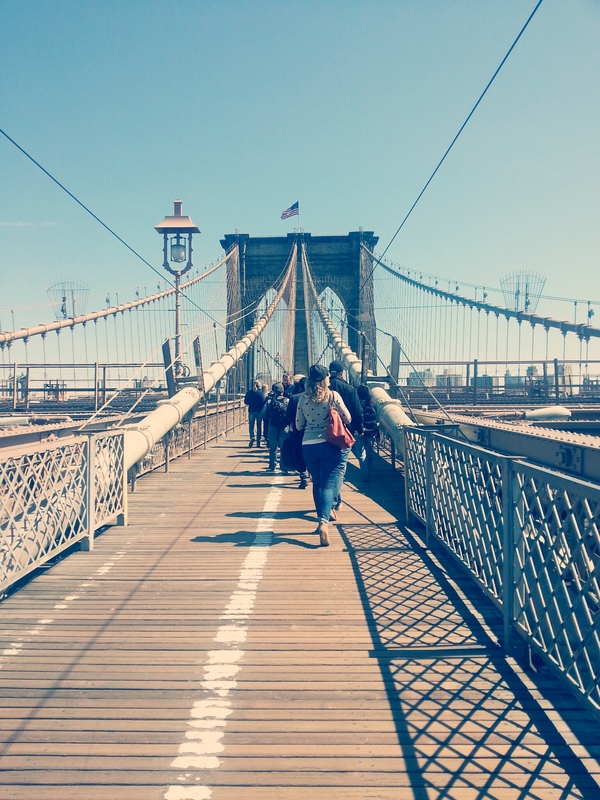 I only managed to walk half of the Brooklyn Bridge too haha! It’s much bigger than I thought it would be! Great pictures! 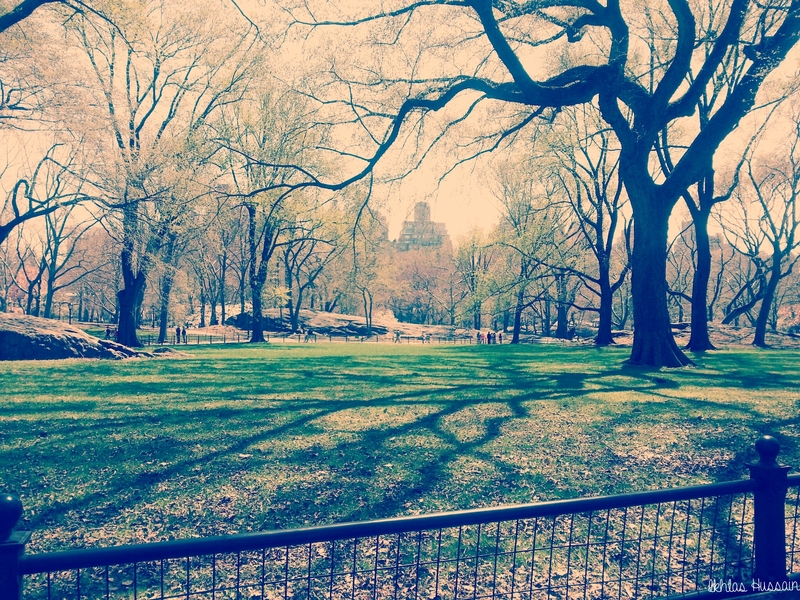 And yes, Central Park was beautiful! Unfortunately, because of the weird weather, it still wasn’t as green or pretty as I’d heard it would be, but it was still a lot of fun to hang out in.